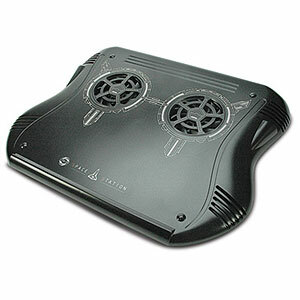 The Space Station uses two 80mm fans spinning at 2000rpm to keep your 17 laptop cooler. The wide sturdy base is specially designed for notebook computers between 11 - 16 wide. A pass-through USB port lets you connect USB 2.0 devices to your computer while powering the fans simultaneously. Includes 32 USB cable.